Why has the market done well so far in 2019? Will the market continue to go up? What may be behind the current strength in the market and prospects for what may lay ahead. Why has the market done well so far in 2019? Will the market continue to go up? In this video Neal Frankle explains what may be behind the current strength in the market and prospects for what may lay ahead. 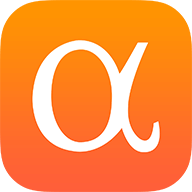 Editor’s Note: The summary bullets for this article were chosen by Seeking Alpha editors.